Here comes Princyclopedia, Cotsen’s huge, annual event where we bring a book to life through a multitude of hands-on projects, activities, live shows, and demonstrations. This year’s book is Robin Hood, and we plan to bring the medieval world to life in all its splendor and glory! See period weapons in action, sample mead, storm a castle, test your survival skills in Sherwood Forest, illuminate a manuscript, meet live falcons, discover the science of stained glass, examine a longbow, explore an alchemist’s workshop, and rock out to musicians playing hits from merrie olde England! For more information, go to the Cotsen Children’s Library Website. 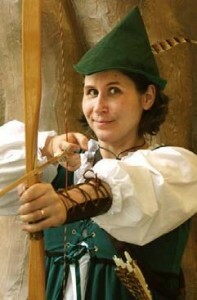 Update: Princeton Packet details the success of the event – Robin Hood rides into Princyclopedia.